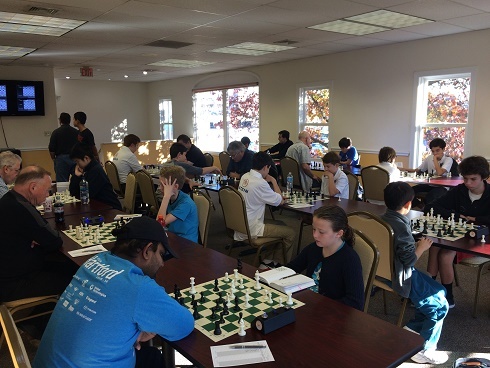 Eight teams descended on the Chess Club of Fairfield County to compete in our annual Fairfield County Fall Team Championships. Two teams entered as heavy favorites with rating averages nearing the 1800 maximum. However, as early as round 1, a series of upsets blew the tournament wide open. 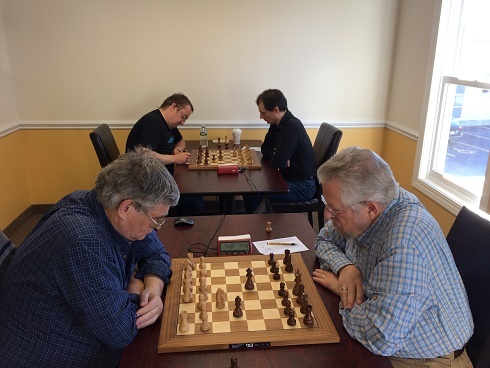 After three rounds it was team "Ol' Dogs" with Experts Joseph Bihlmeyer and Hanon Russell, Eugene Ulyanov and Guhan Kumar who led the field by a full point. 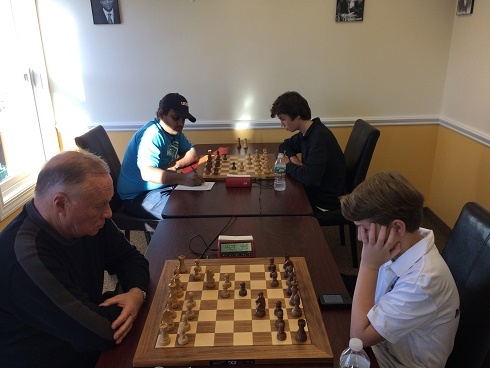 However, they were paired against the top seeded team in the final round and a loss would have likely sent the tournament into blitz tie-breaks. 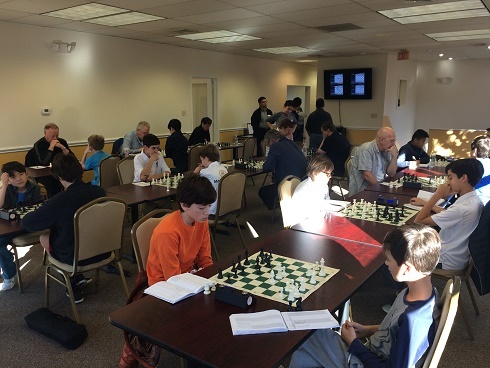 After an intense fighting round, all of the games ended decisively with the score of the match ending 2-2. Thus "Ol' Dogs" clinched sole first place winning the first prize of $300! A remarkable result was achieved by the Varsity Dream Team who entered the tournament as the eigth seed with a 1577 average. The team with Ryan Young, Daryl Lavin, Joseph Ho, Shailen Smith, and Nicholas Kurbanov combined to propel their team into clear second place, winning $200. Congratulations to the two winning teams! In addition, we must also congratulate the players who what outstanding individual performances. NM Ian Harris, Ryan Young, Hanon Russell and George Habrecht all scored perfect 4/4 scores! 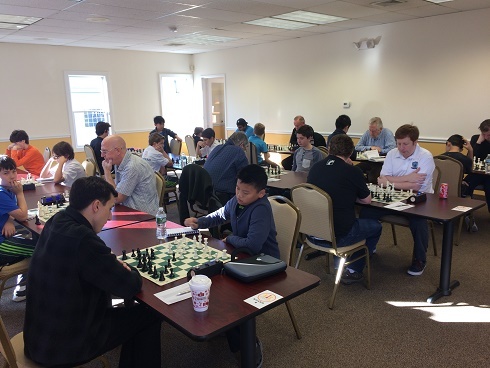 Nicholas Kurbanov, playing board 4 for the second place finishing Varsity Dream team, Thank you to everyone who participated and made this yet another fun and memorable event!